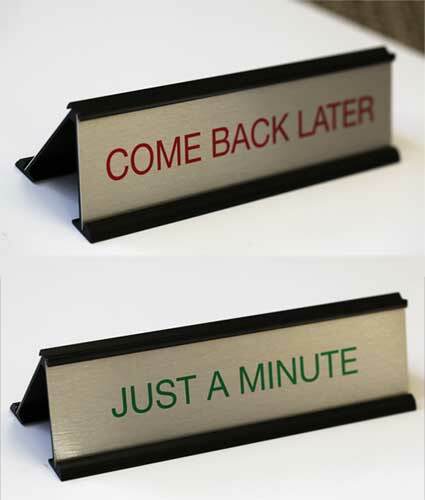 8"W x 2"H or 10"W x 2"H desk sign and counter-top office sign with free 2-sided text personalization. Architectural-grade metal frame in black or satin silver with custom aluminum nameplate inserts. Free text, message and logo - 2 sided name plates and custom office signs. A-frame sign design allows for dual messages to be easily rotated and changed. Please indicate text for each of the two name plates below. Custom desk signs and desk name plates. Personalize BOTH sides of your sign. 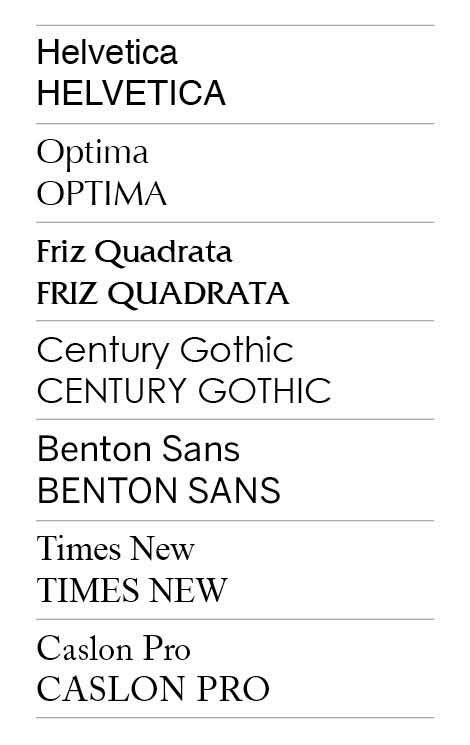 Indicate line breaks with a (/) mark. If you would like red or green text as shown in photo, please note this in the special instructions below. Custom Office Nameplate with Frame - 9" x 2"
9" x 2" office nameplate sign with easy hang frame. Wall, door, or glass mount name plate. Choose mounting options for easy installation. Includes custom, permanent personalization - at no additional charge. 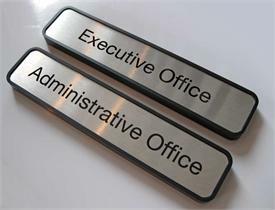 Brushed metal desktop signs and name plates for office, waiting room, lobby and more. Metal nameplate sign and aluminum frame holder included. Sizes and name plate color choices available. 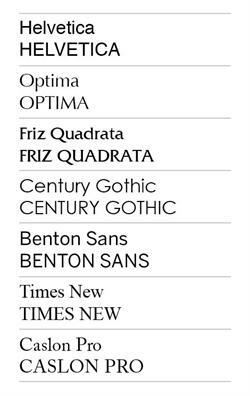 Free text personalization.